Try the espresso con panna, which is a double shot of rich espresso topped with fresh whipped cream. If you like Italian-inspired espresso classics, Coffee Republic is the place for you. 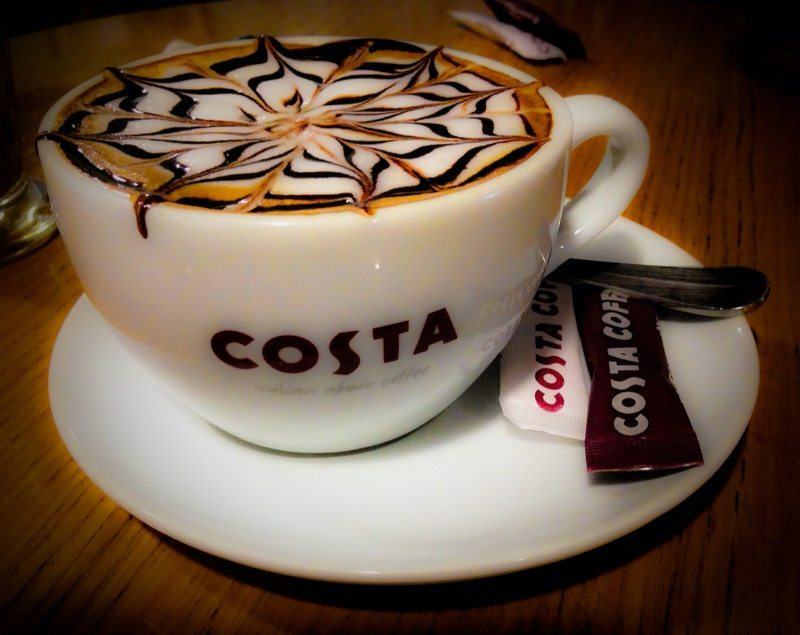 The top contender for the most popular Britain-based coffee shops is Costa Coffee, which has the most locations and is continuing to grow. They have over 1,700 locations in Britain alone, and have expanded internationally for a total of over 2,000 stores. This alternative to Starbucks serves your favorite coffee and espresso drinks, with a selection of festive food and seasonal offerings such as the caramel fudge hot chocolate or the salted caramel cappuccino. In the summer, try their blended tropical fruit cooler for a refreshing heat buster. 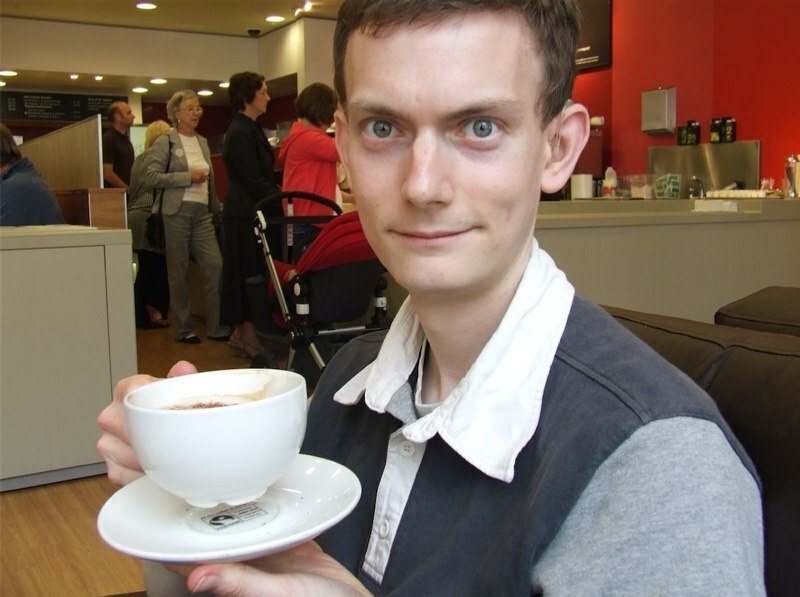 Costa also sells their coffee blend in whole bean form or for the Tassimo brand brewers. This bakery and coffee shop specializes in keeping it simple. This bakery staple has been around since the 1950s, and although it is known mainly for its sausage rolls, doughnuts, and other savory and sweet goods, they also serve espresso drinks. 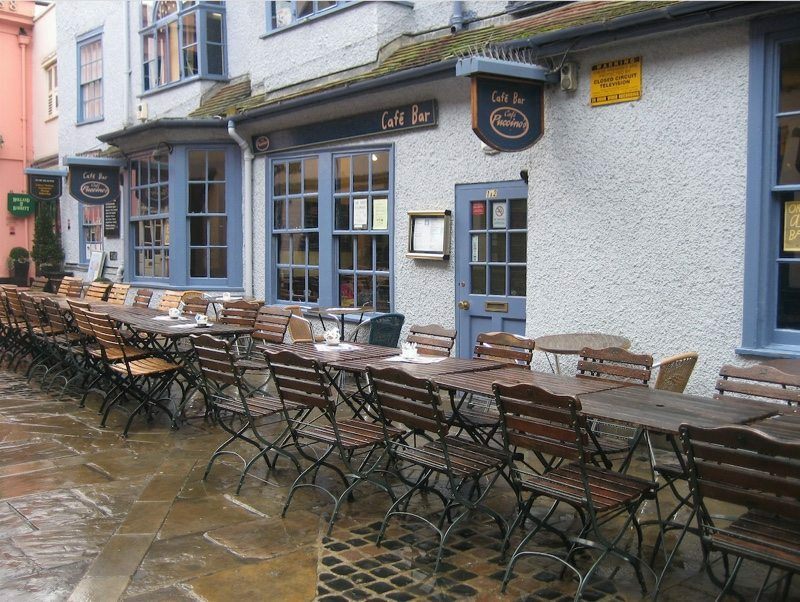 Have your craving for an americano, latte, or white coffee satisfied at this popular locale. 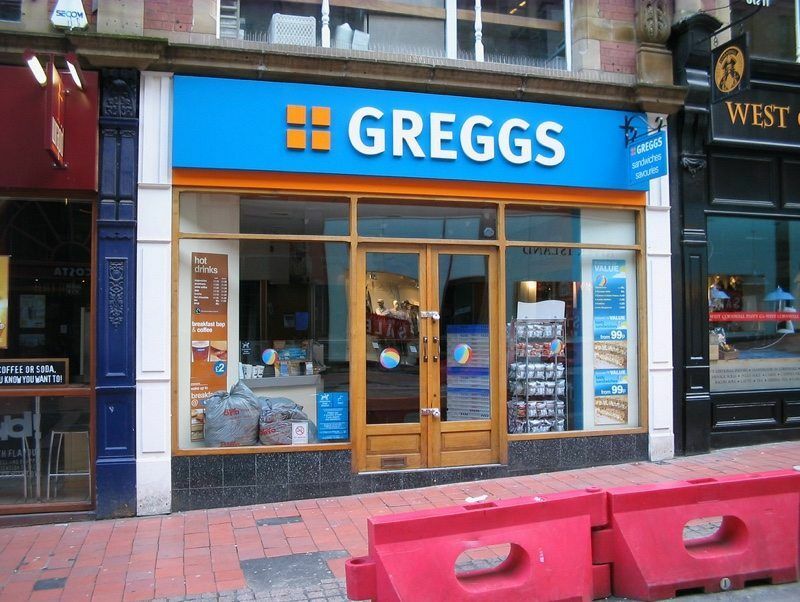 Greggs is a prolific bakery shop and holds the spot as the largest of its kind in the UK. They have over 1,600 locations across the country and have expanded to Northern Ireland. You can find a location near you online. Marks & Spencer is a unique combination of retail shopping, fine foods, and also in store cafes. M&S Cafe is where you can enjoy a flat white or espresso, while shopping to your heart's delight for everything from clothes and makeup to home goods. There are lots of kitchen accessories and storage solutions that are great for your at home brewing experience. Check out their store locator to find a Marks & Spencer near you. 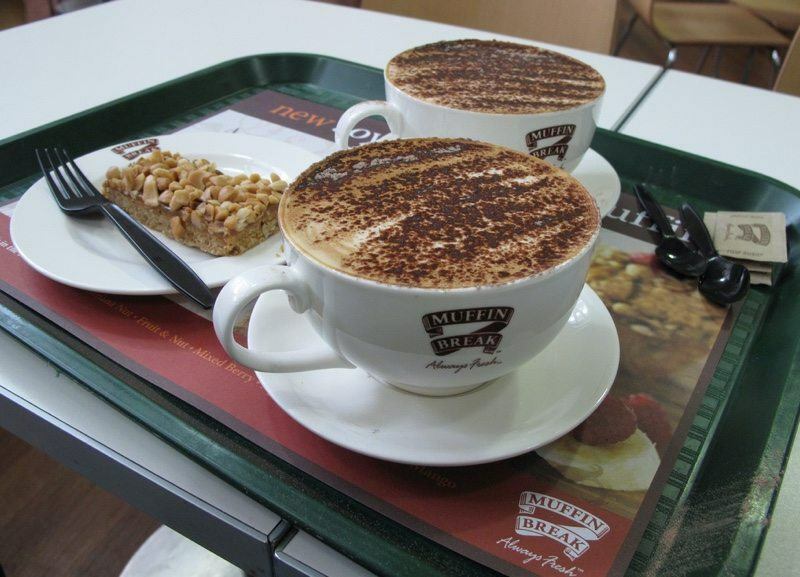 Even though the name indicates baked goodness, Muffin Break also serves a selection of fine espresso drinks and lunch food offerings. They are so confident in their coffee's superiority that they don't offer flavorings in them. If you've got to satisfy your sweet tooth, enjoy the classic frappe or a fruit smoothie. They do offer sweet seasonal treats such as the current salted caramel latte and many assorted baked goods. Enjoy a muffin break before you get back to work! This restaurant and coffee shop's name means “ready to eat” and they serve a host of prepared sandwiches, wraps, and other to go food choices. In addition to the quick bite to eat, they serve organic coffee and espresso. 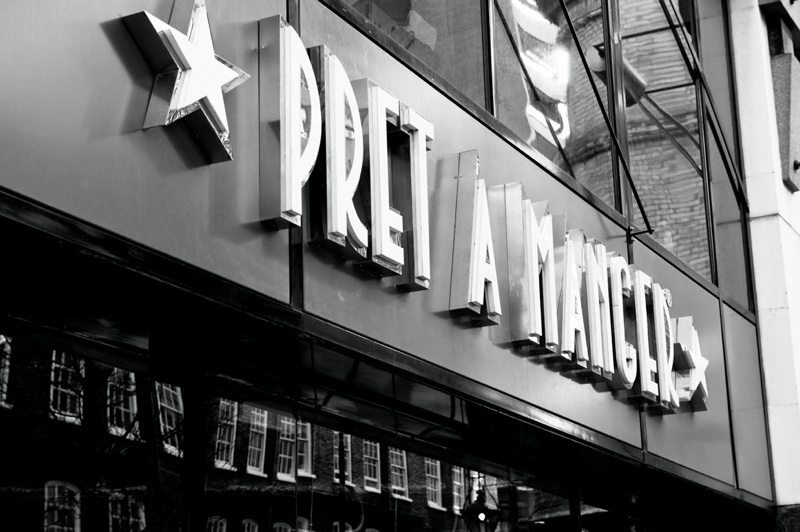 Pret A Manger is very focused on organic and humanely sourced ingredients for their menu items. Try the special Love Bar Latte, which is a caramel-biscuity chocolate latte, and donate 10p to the Pret Foundation Trust to help end homelessness in the UK. Puccino's coffee claims that they serve over 5.5 million shots of espresso each year at its many UK and international locations. They serve classic Italian espresso drinks and fair-trade coffee. They even have some deli locations that serve more substantial food choices. Try out Puccino's iced coffee, cream frappe, or a fruit breeze at their many UK locations. You are sure to enjoy the quirky charm that this coffee shop embraces. 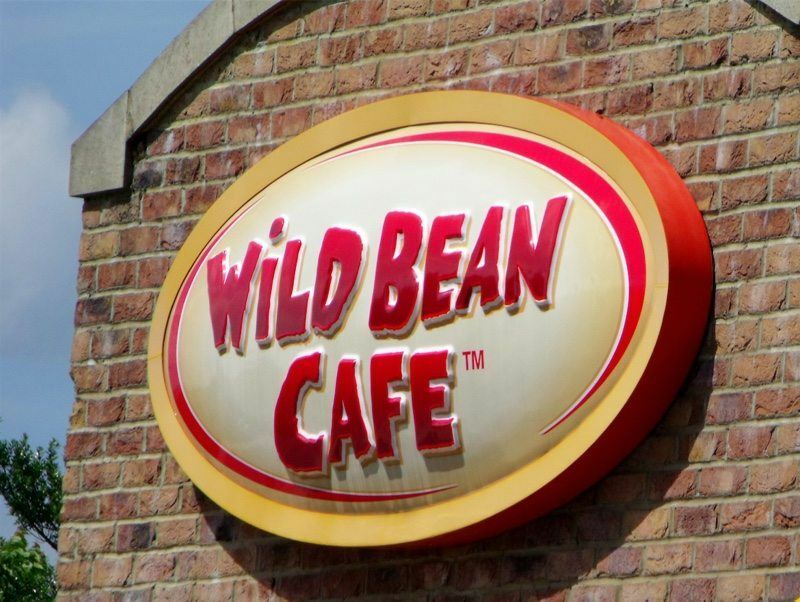 Just as their mission statement attests, it can be hard to find good food and coffee on the road, but Wild Bean Cafe aims to give quality and convenience to travelers in the UK. Try their espresso drinks, coffee, and food items when you are on your next road trip. Have a nice hot flat white while you get to your destination! Liked this article? You'll love to read about Canadian Coffee Franchises and American Coffee Shops Other Than Starbucks. If you love coffee, it's great to try a variety of atmospheres and styles to find what you like. Even then, chains and franchises tend to be a bit bland and mainstream. If gourmet coffee to the highest standard is the only thing you drink, then you gotta check out these 13 Third Wave coffee spots which are starting to branch out and get more exposure. That’s a bummer! This tends to happen a lot in industries recently, and some of my favorite breweries are selling out to big corporations too.